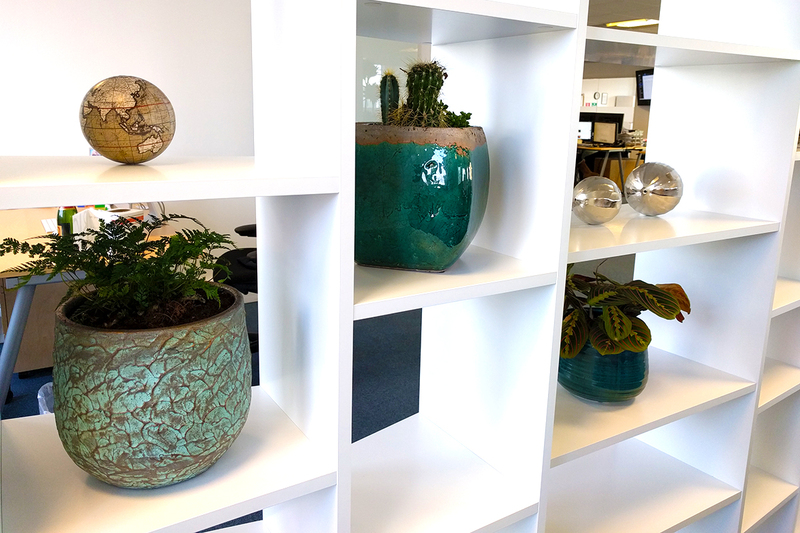 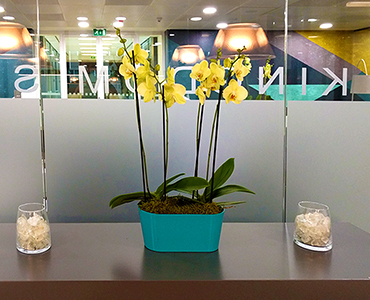 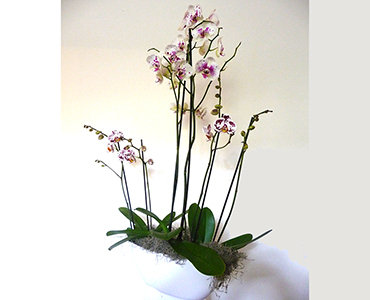 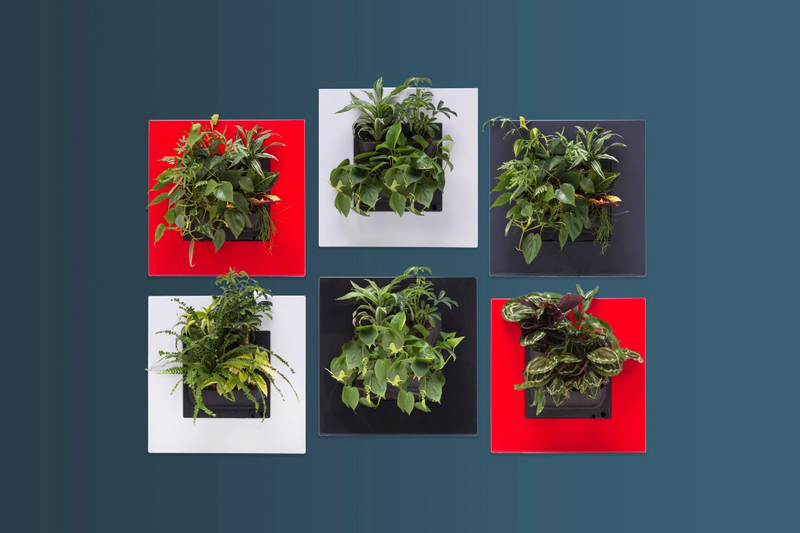 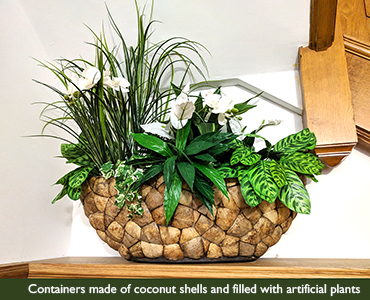 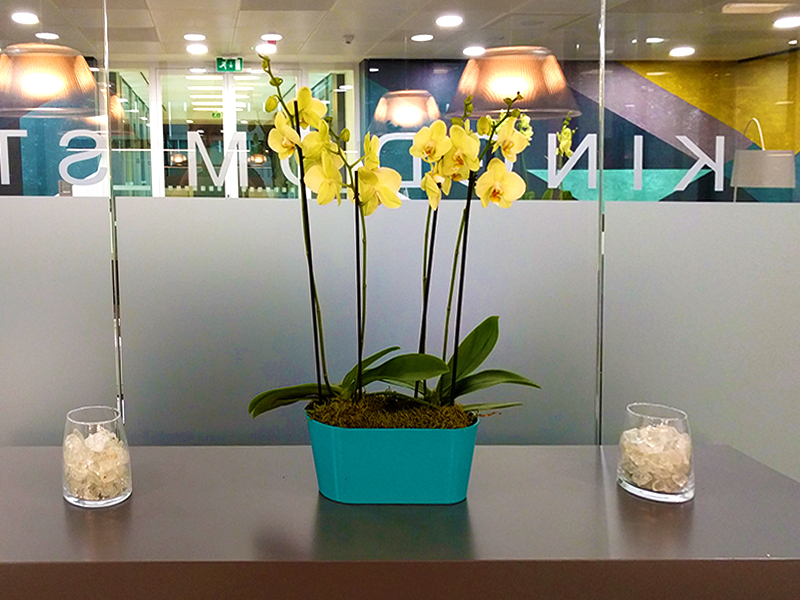 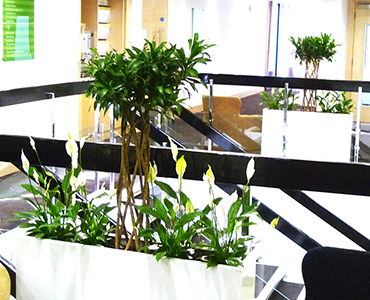 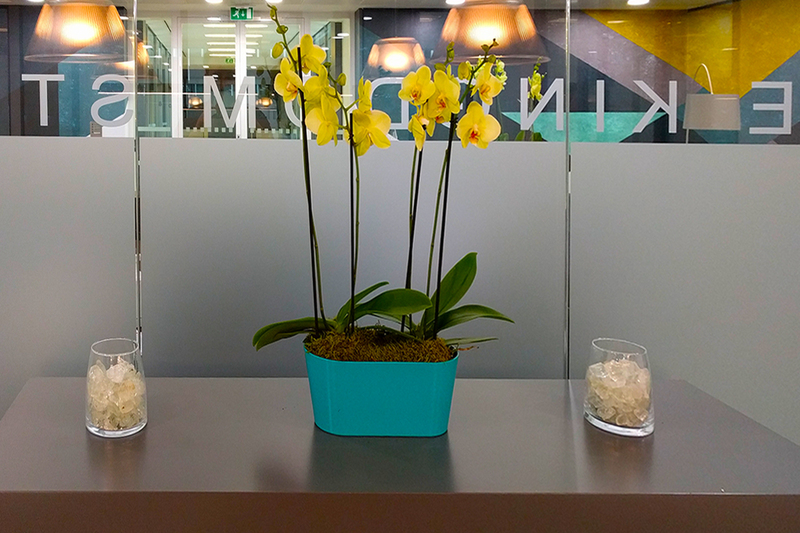 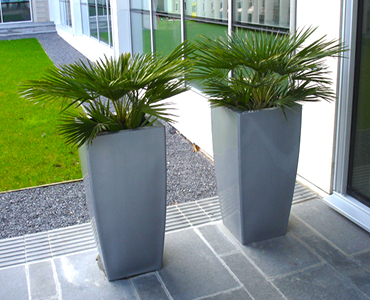 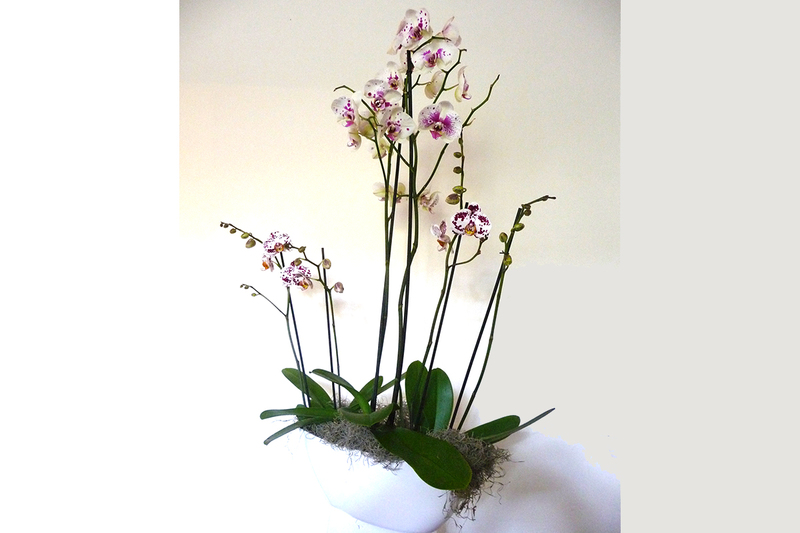 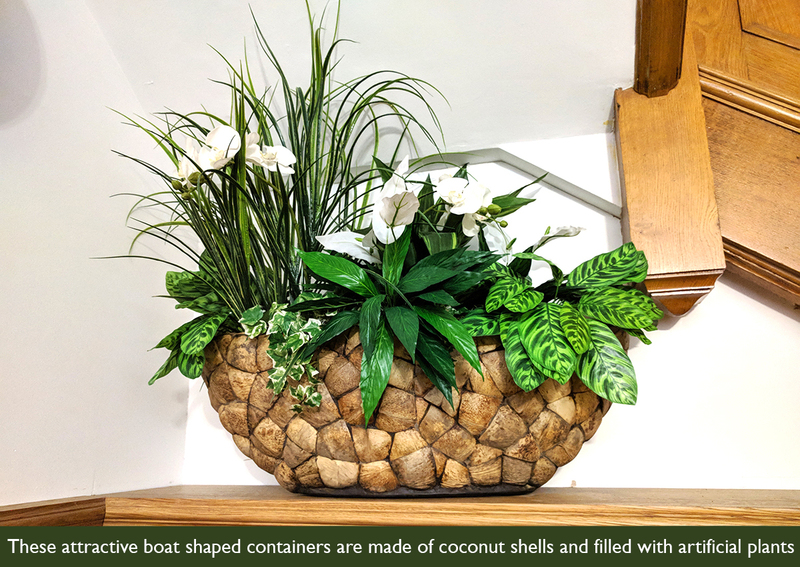 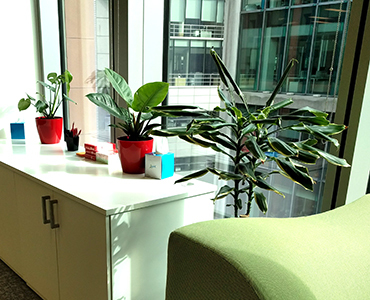 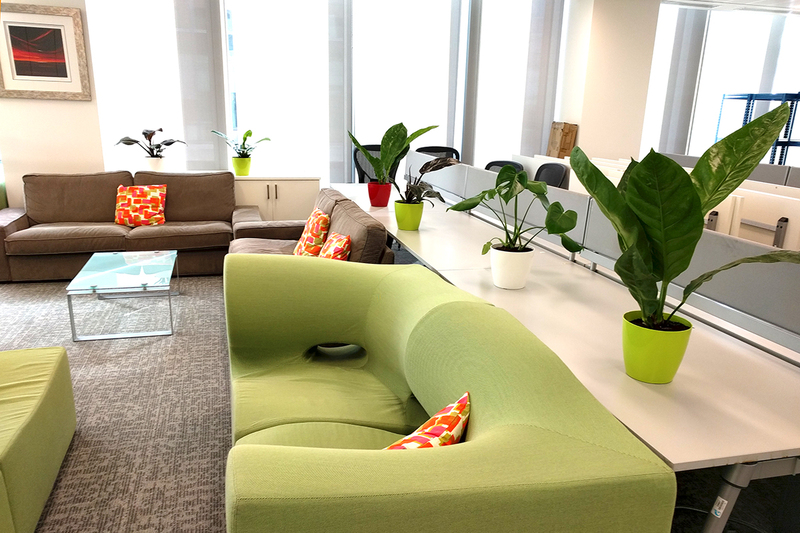 Eye-catching exotic plants in stylish containers make an impact in any office situation. 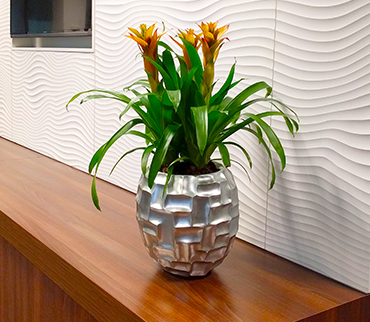 Here atriple orange Guzmania arrangement is shown in a metalic look mosaic ball. 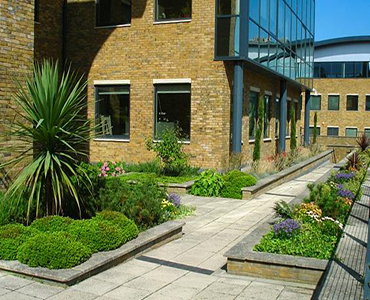 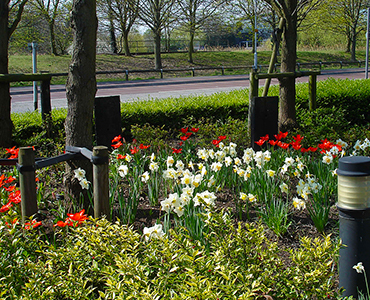 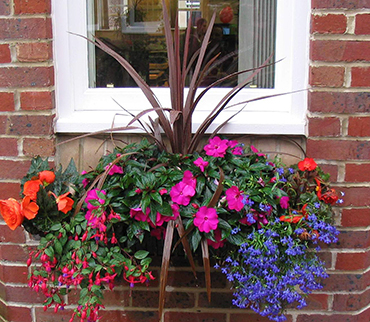 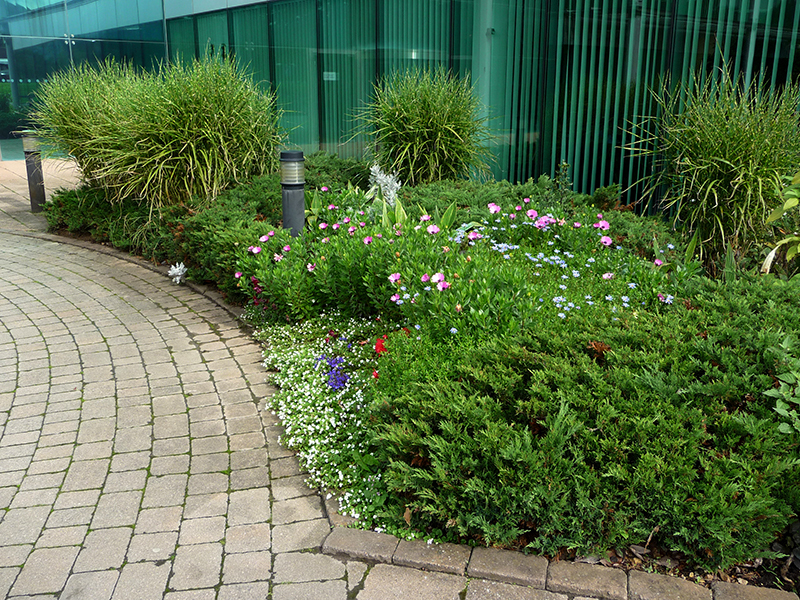 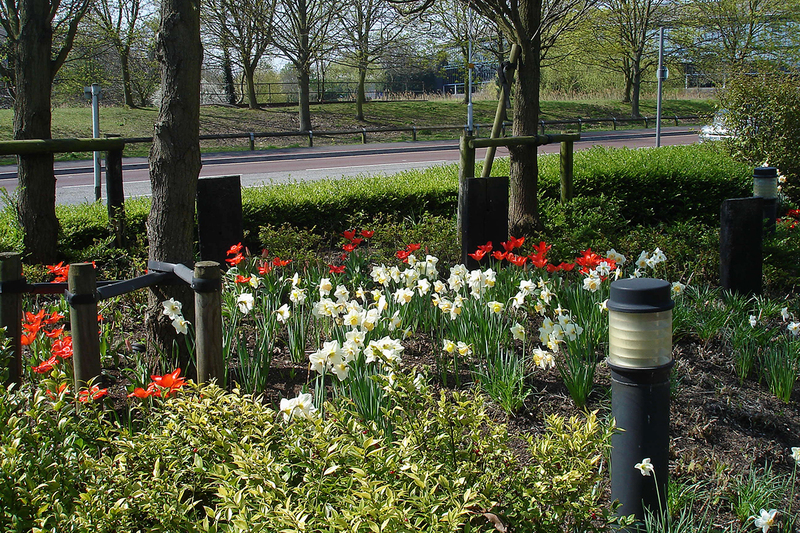 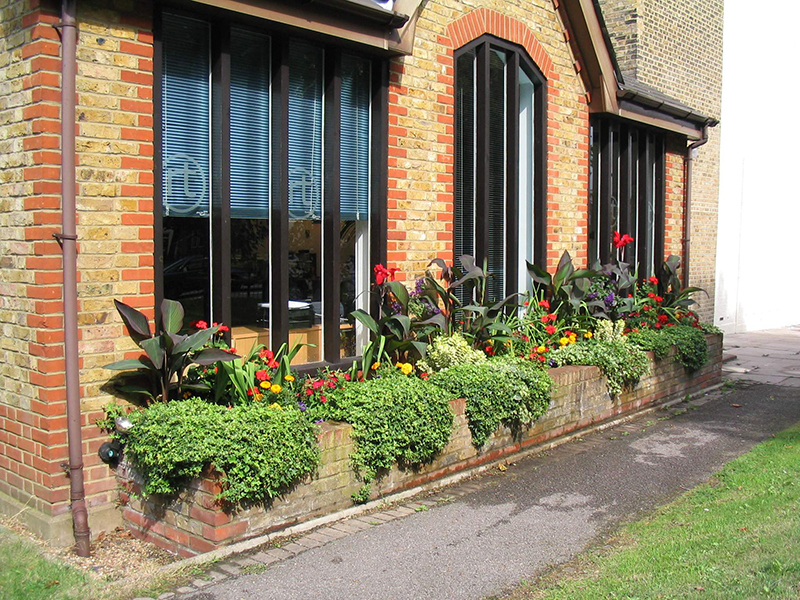 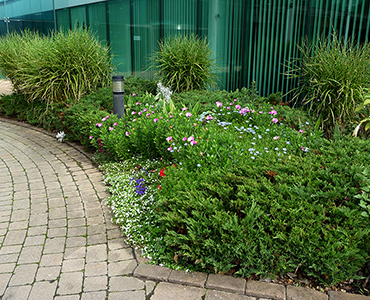 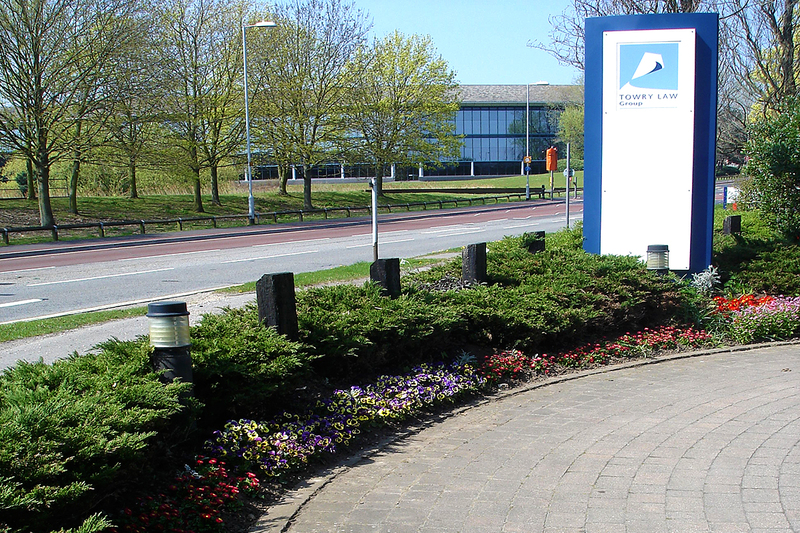 Heathlands Plantcare also prides itself on outdoor plant and floral displays to brighten the exterior of offices and commercial premises. 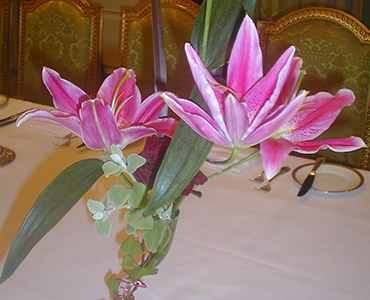 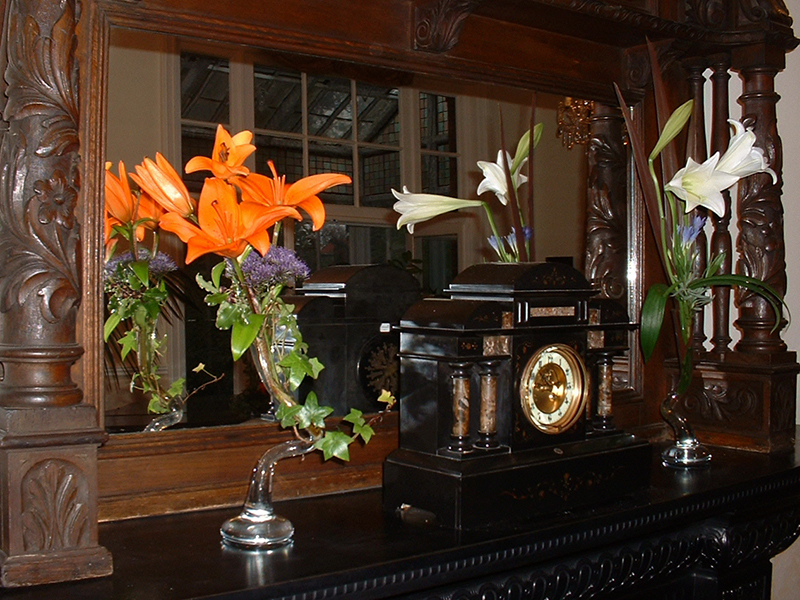 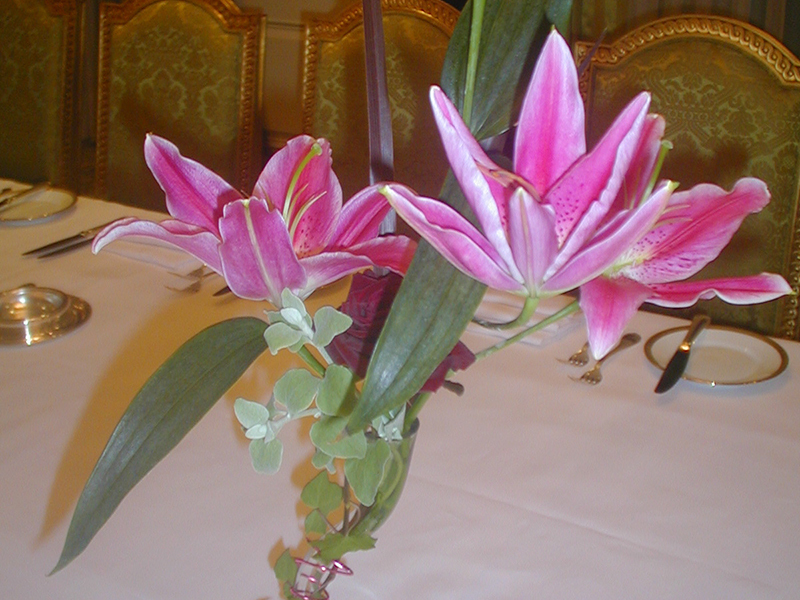 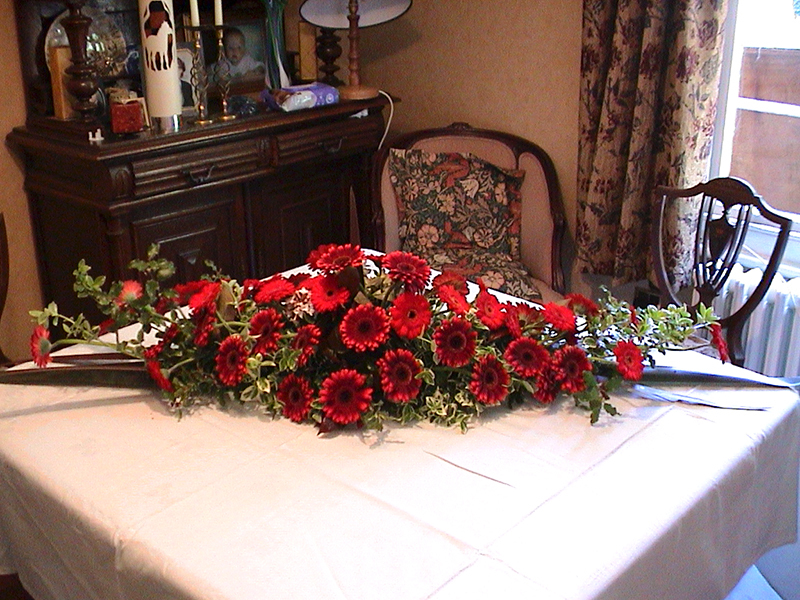 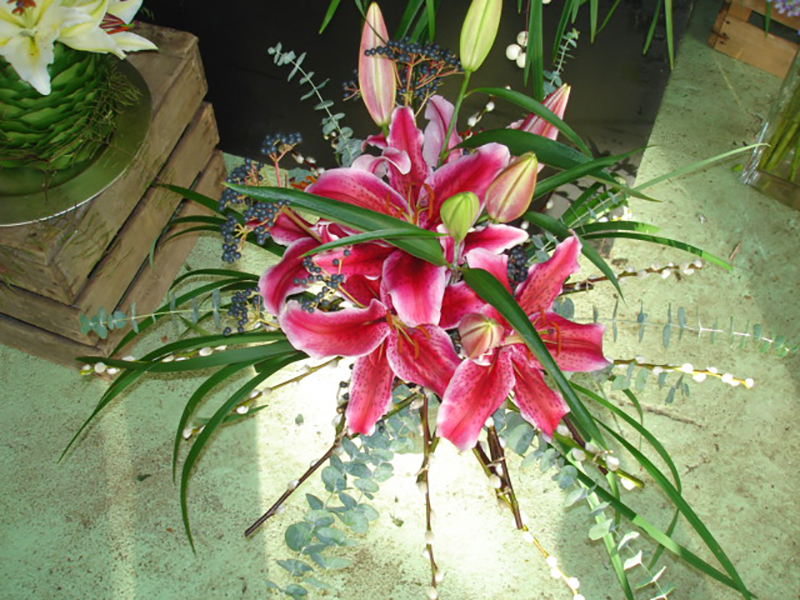 With thoughtful selection of plants an all year round display can be maintained. 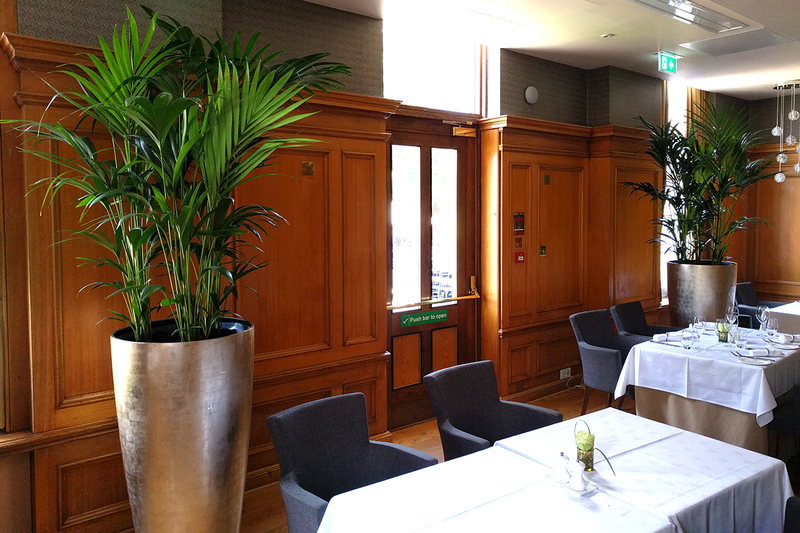 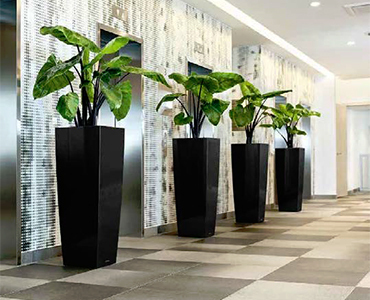 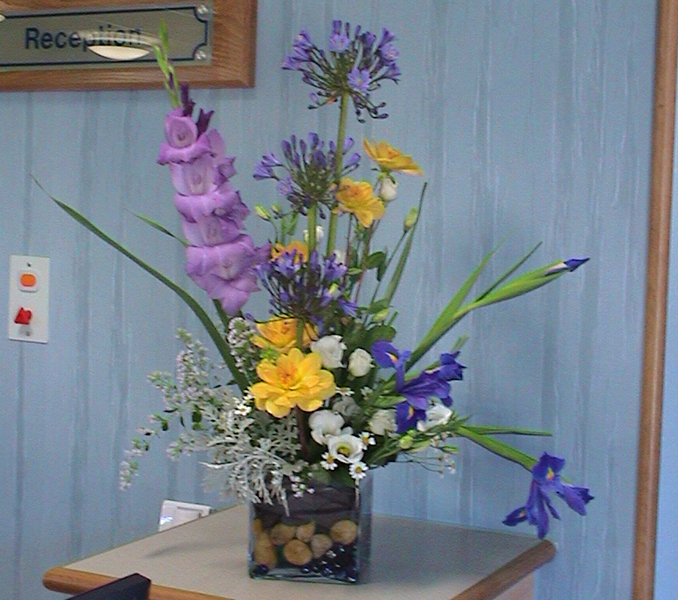 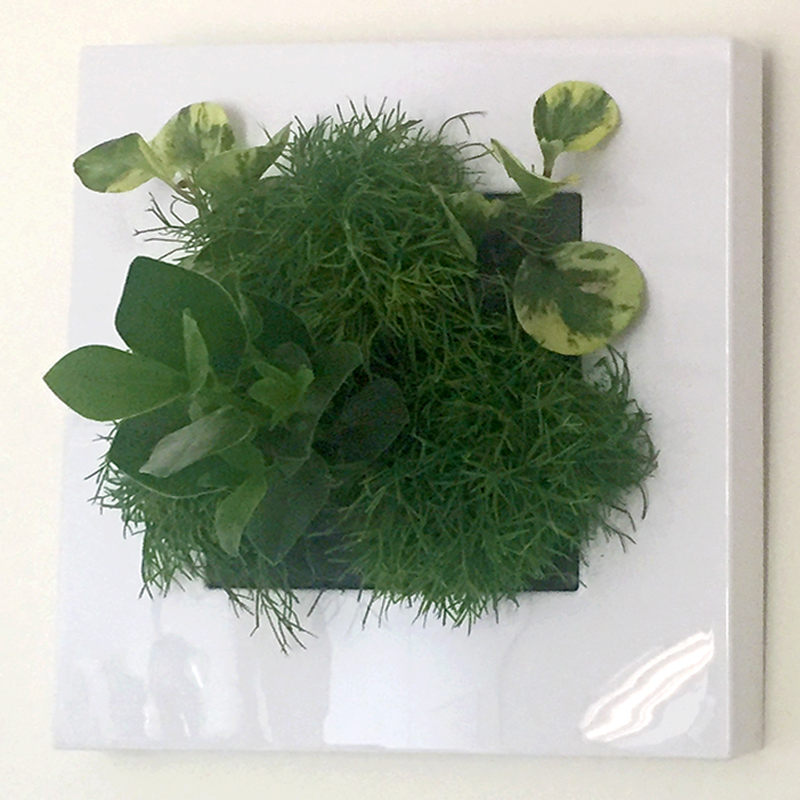 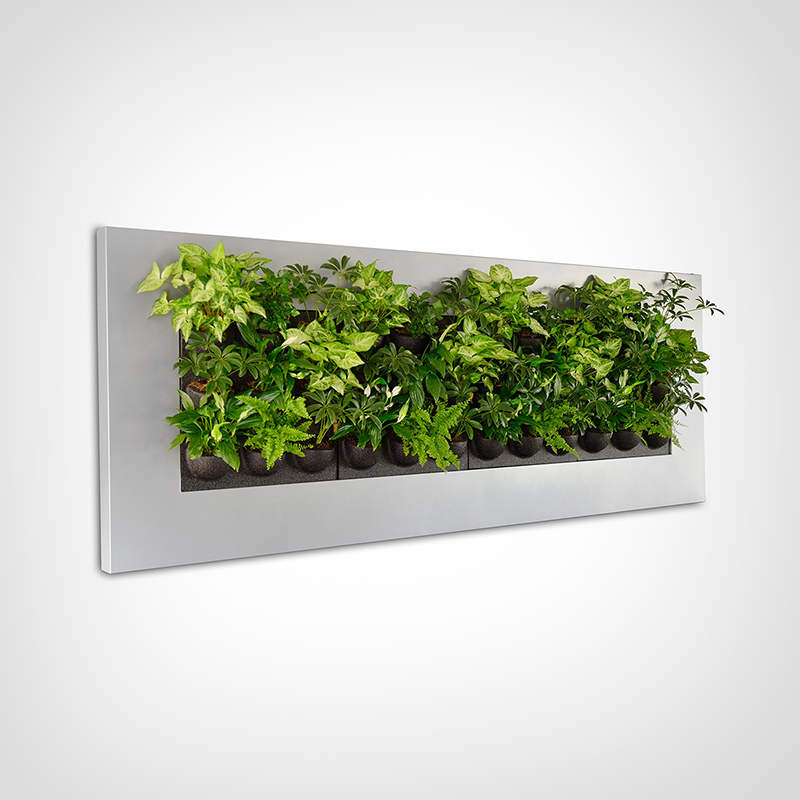 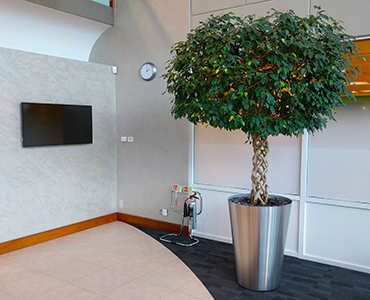 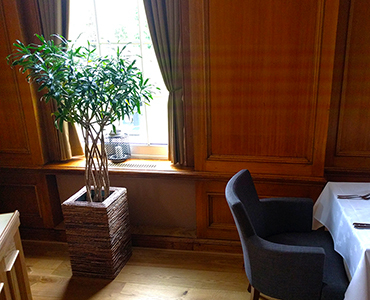 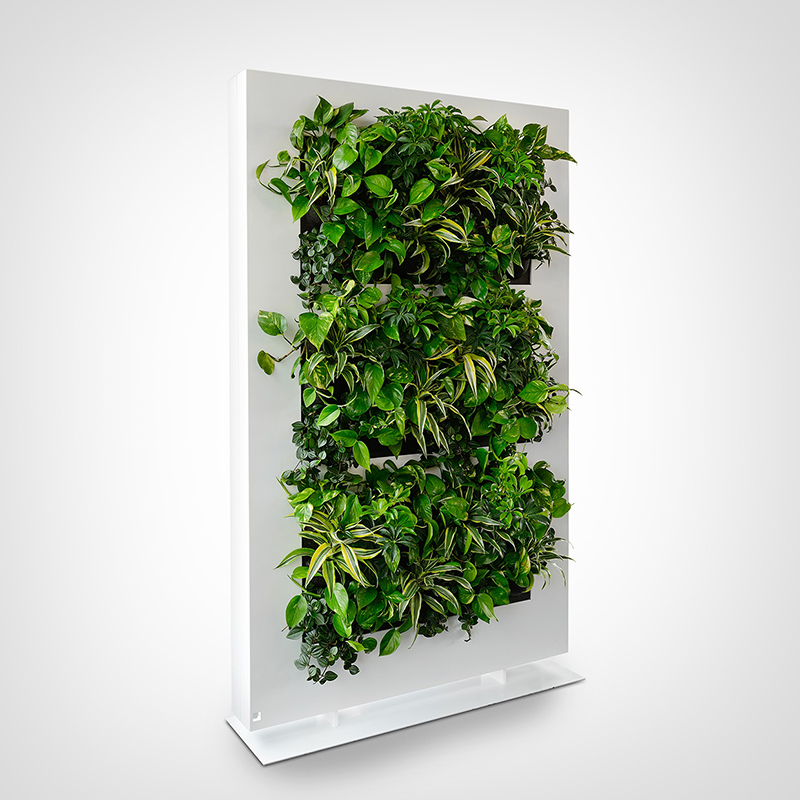 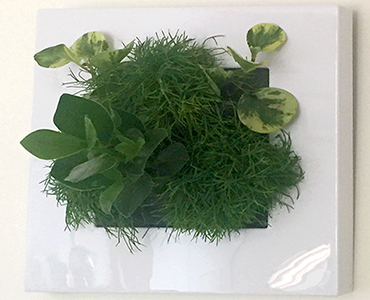 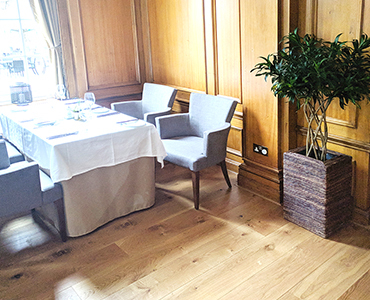 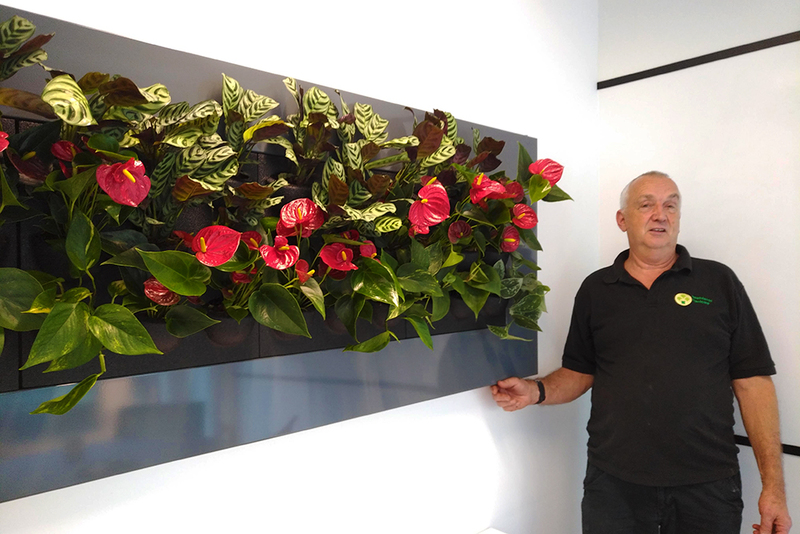 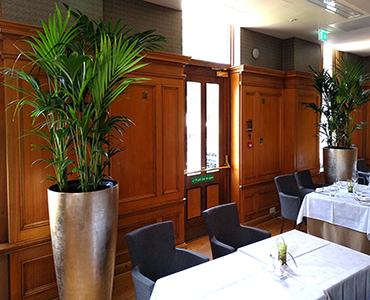 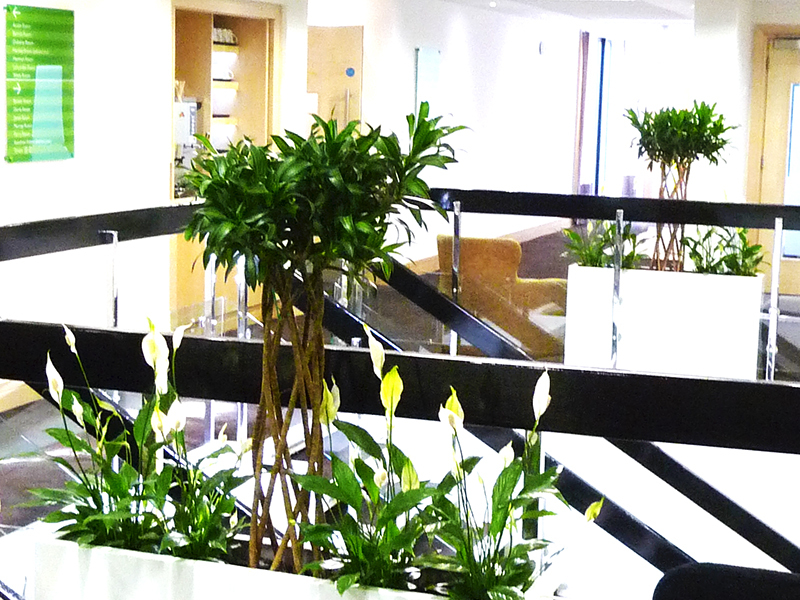 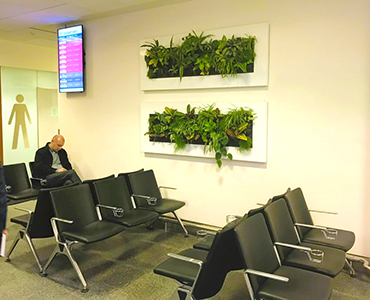 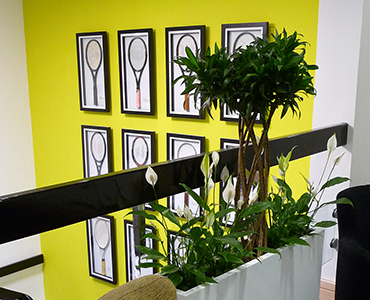 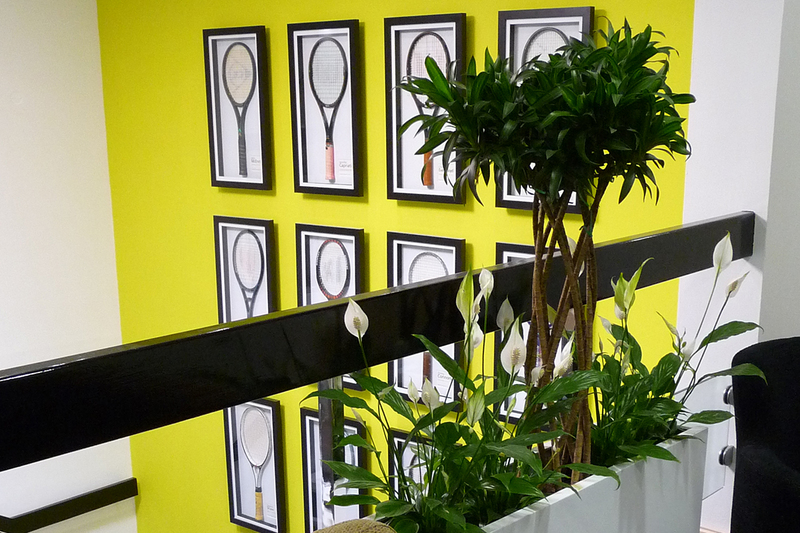 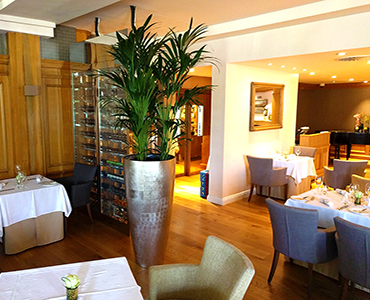 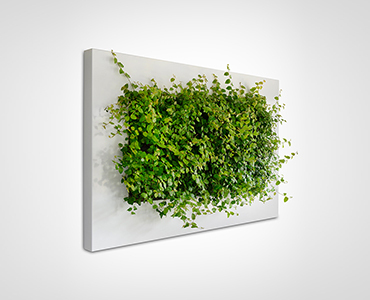 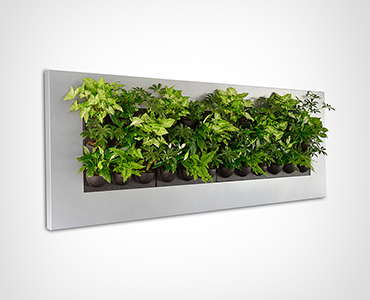 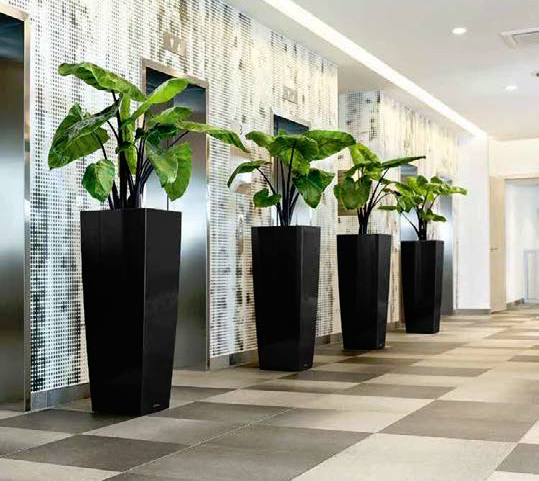 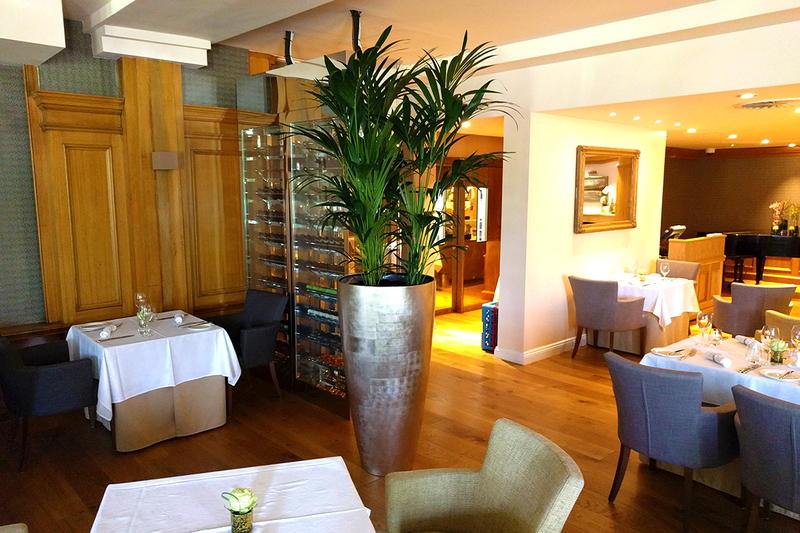 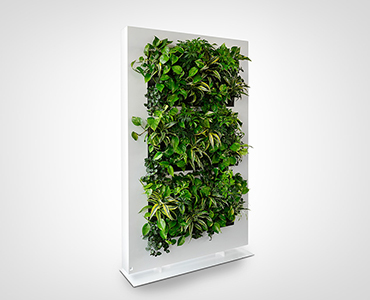 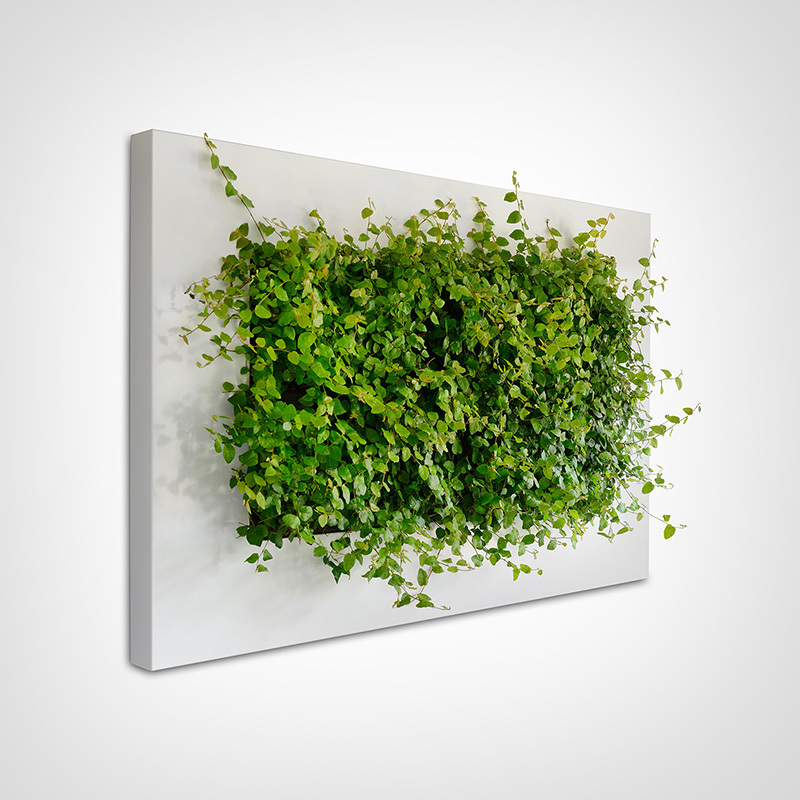 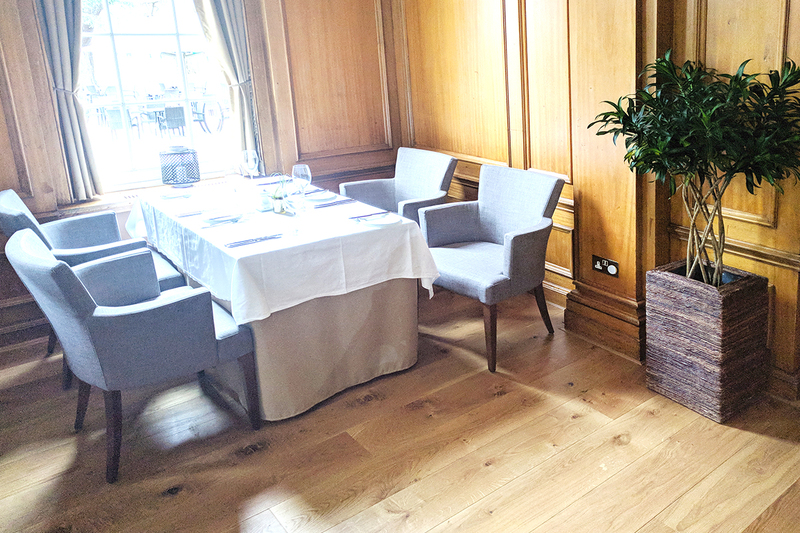 Statement plant displays make such a difference, especially in common areas such as office receptions and lobbies. Here three identical plants form a screen in a Manchester office. 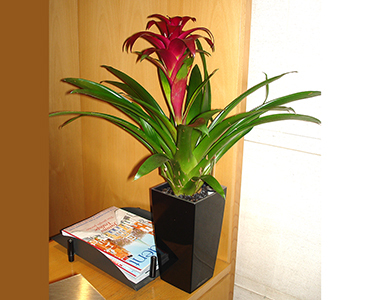 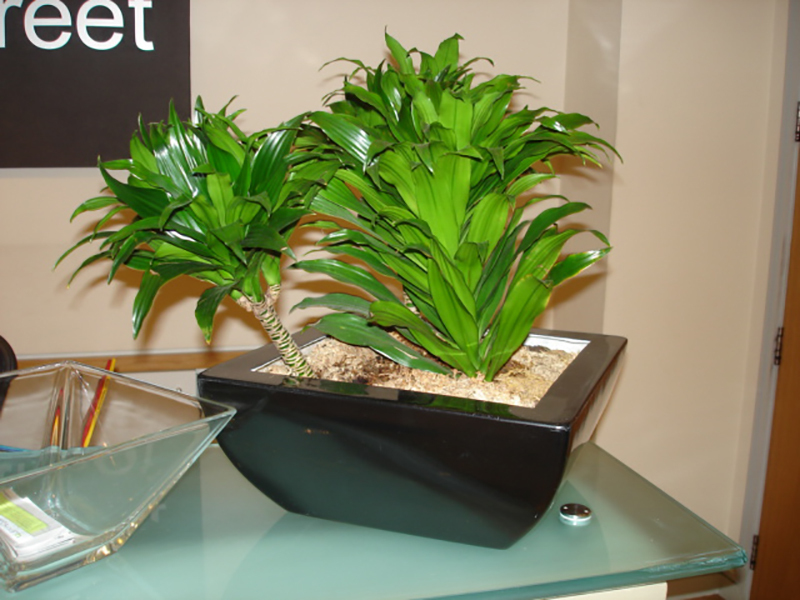 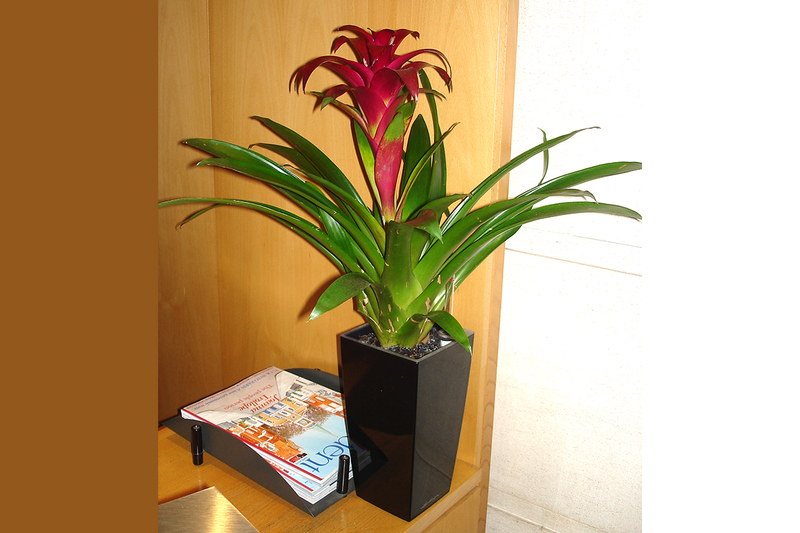 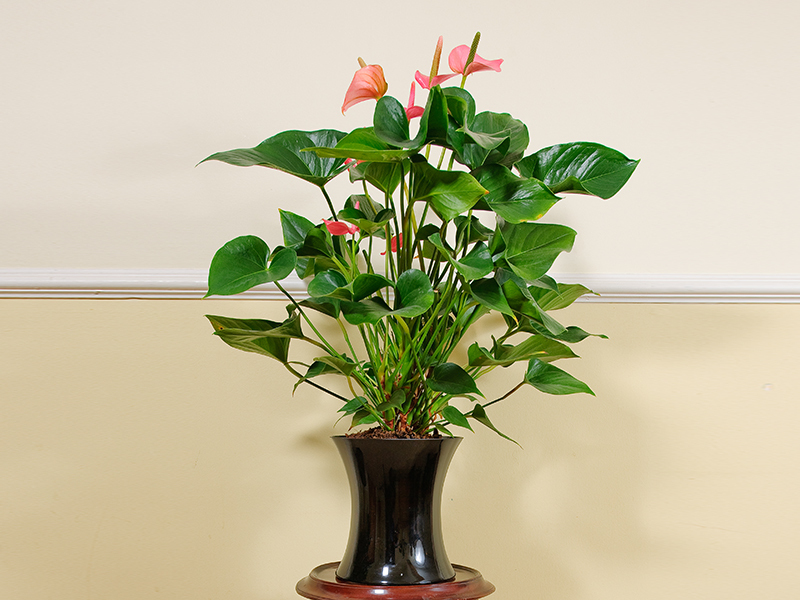 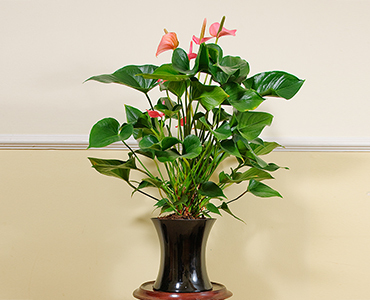 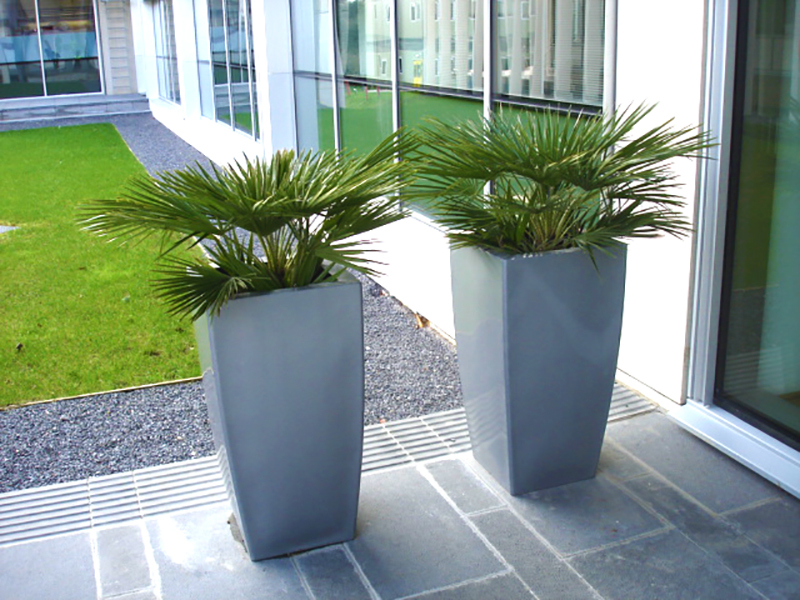 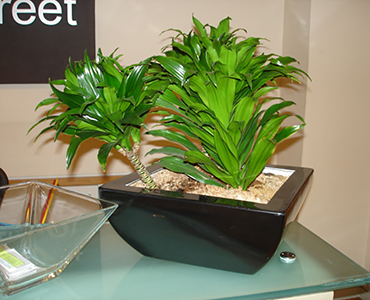 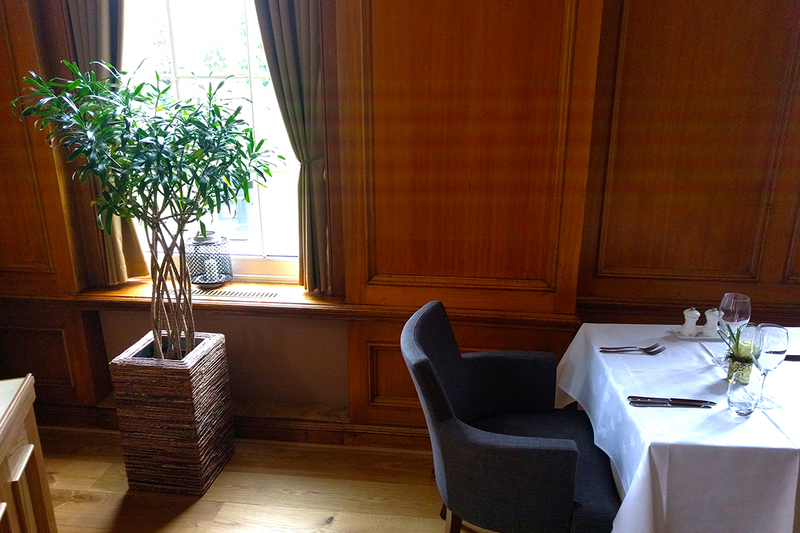 We supply office plants to suit all environments, each in its own stylish container. 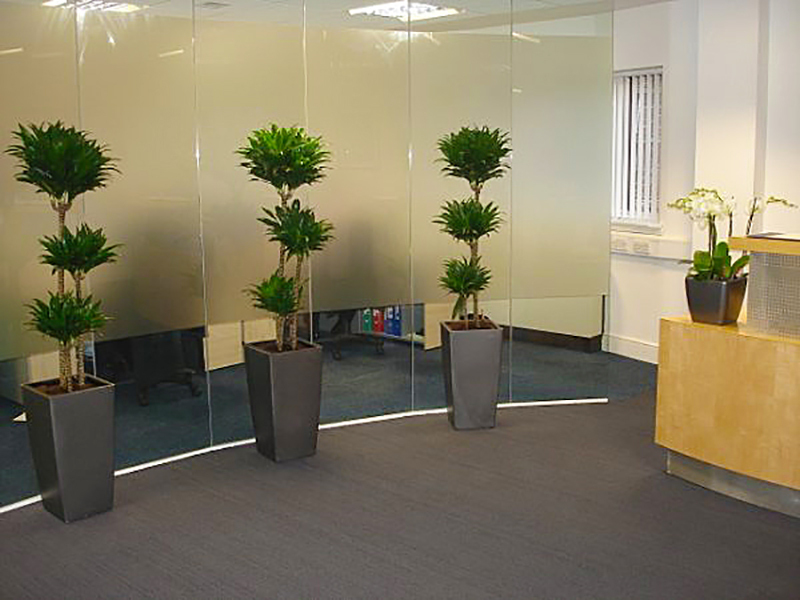 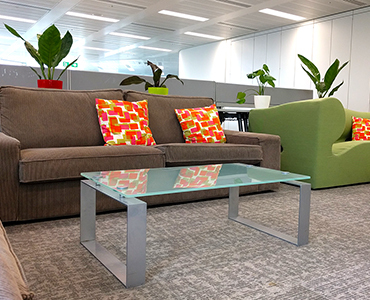 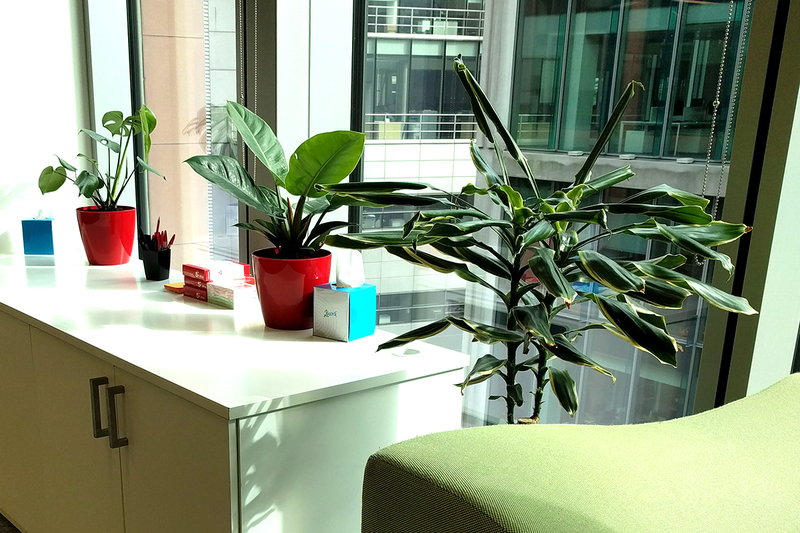 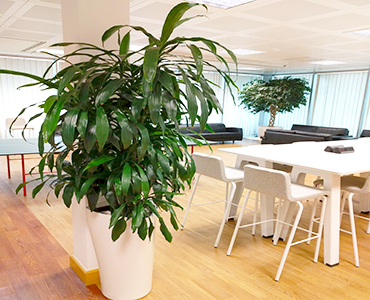 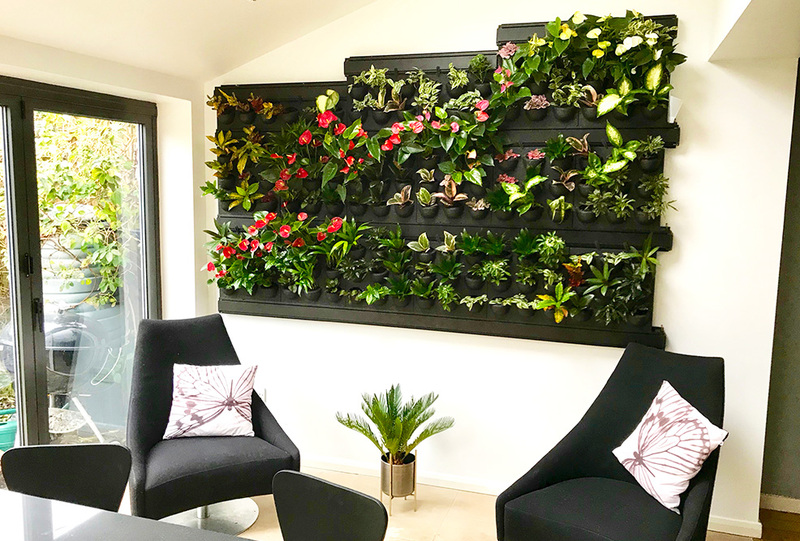 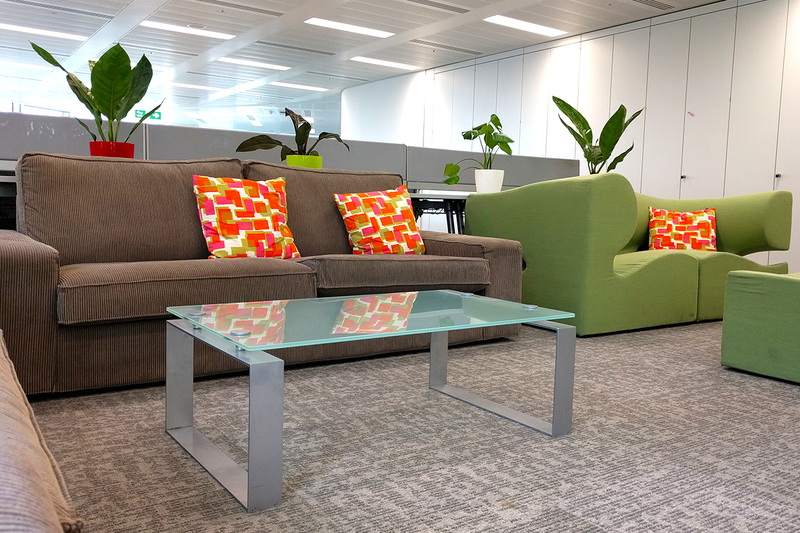 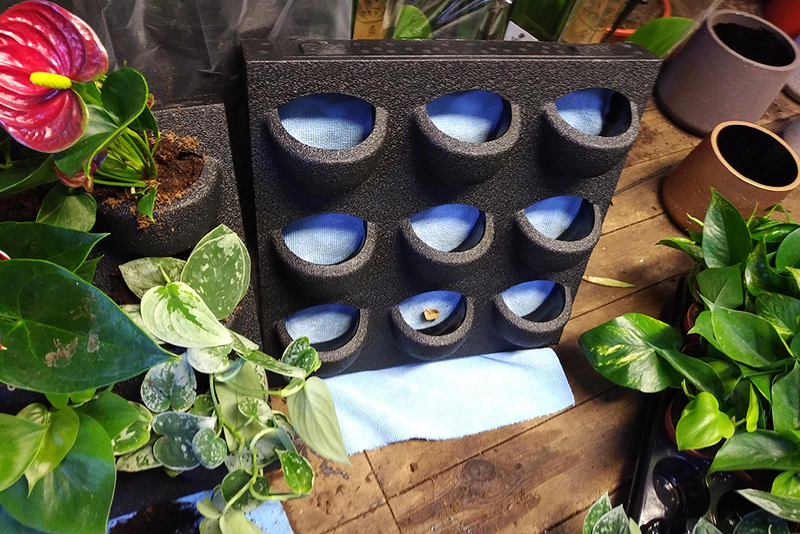 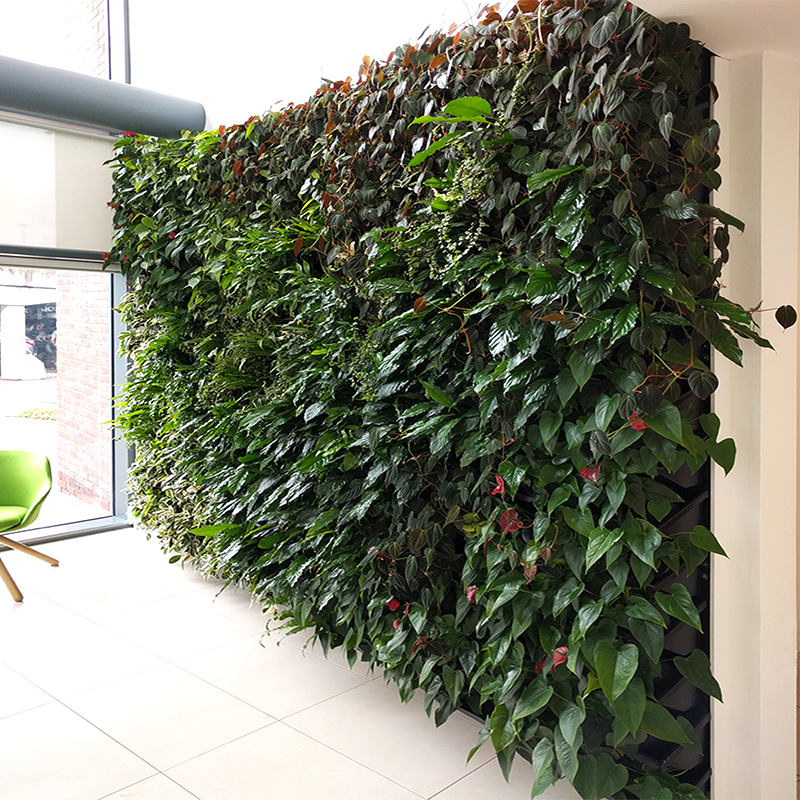 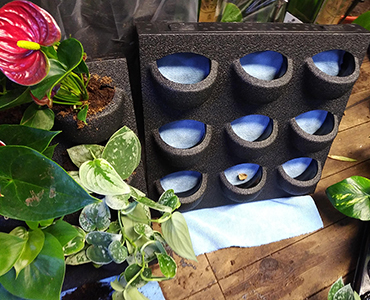 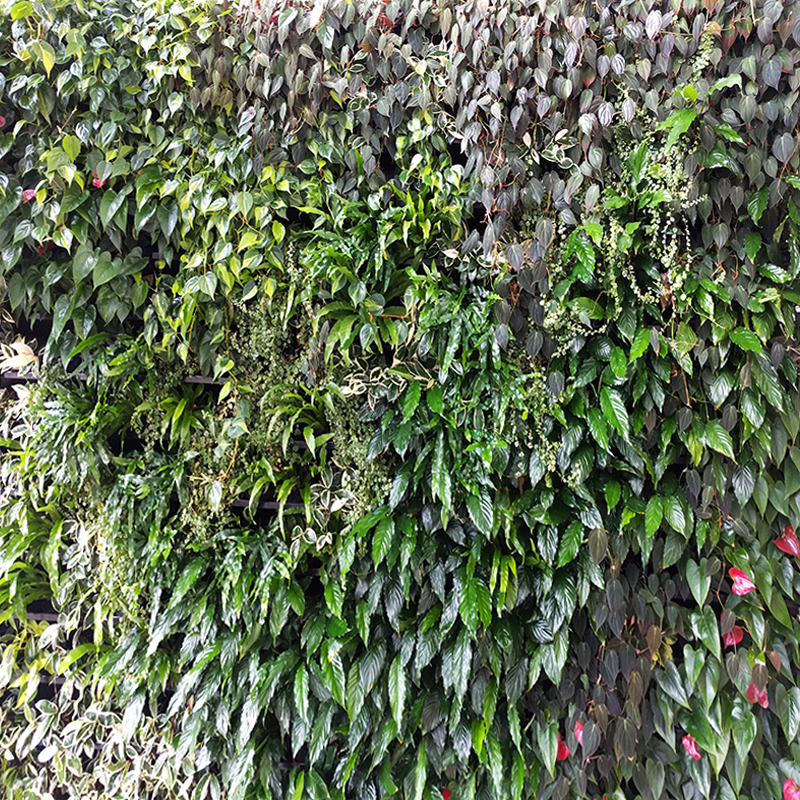 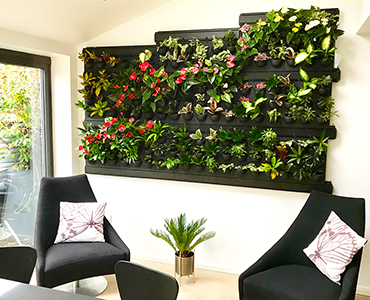 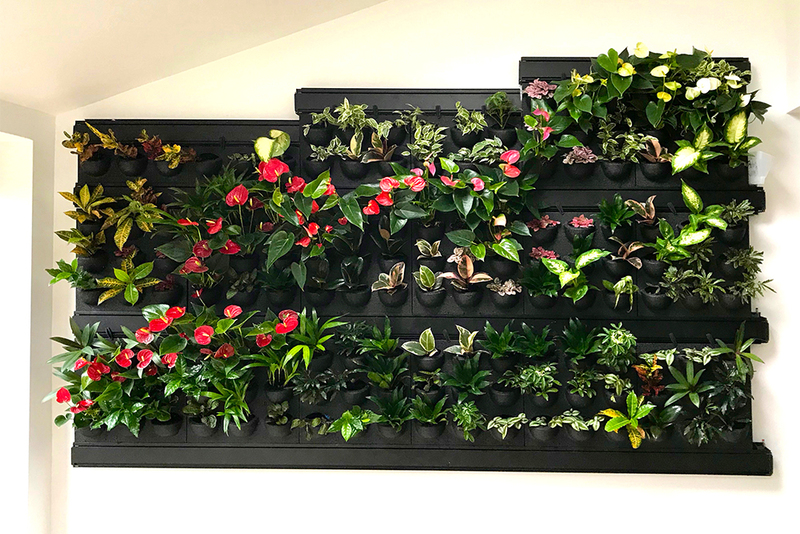 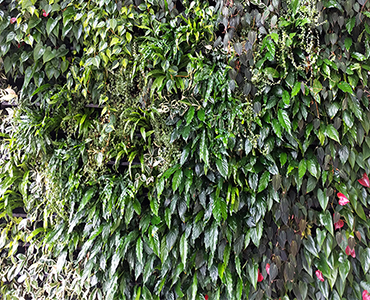 We can arrange for a consultant to visit your premises and go through the range of office plants and containers that would best suit your workplace. 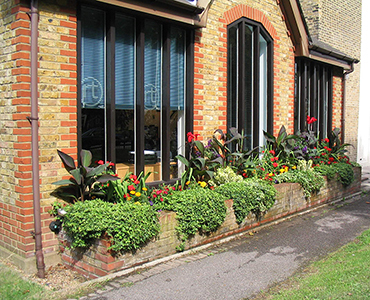 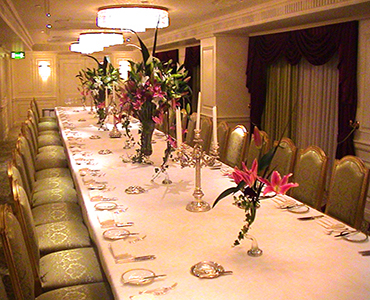 As with all our services, we cover Surrey, Berkshire and surrounding counties as well as the London area.